The photo above was taken in South Africa's Kruger National Park early in the morning. There was a small troop of chacma baboons in a large tree to our right. 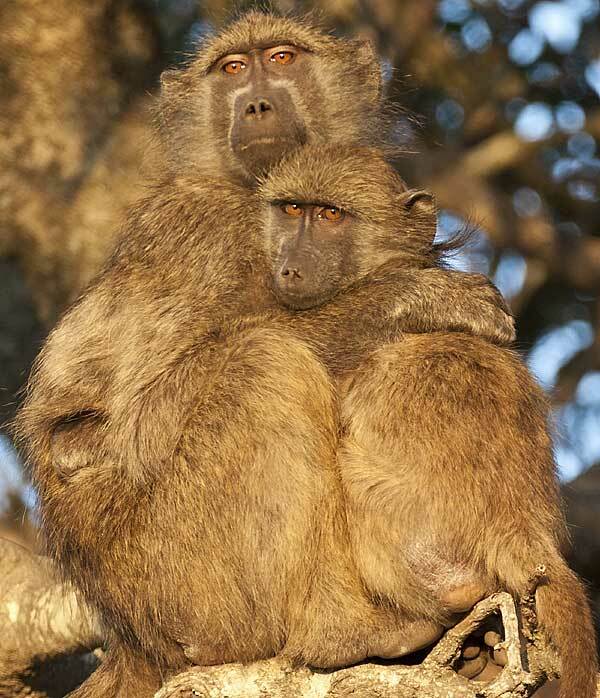 It was winter and the baboons were warming themselves in the rays of the morning sun, unconcerned by our presence. The warm, soft light cast a lovely golden glow on our subjects, inviting us to stop for a while and enjoy the scene.